There are horrifying things happening around the world every week from the captivity of depressed and lonely elephants to the government allowed slaughter of thousands of hippos. If you are looking for a way to help animals, here are 10 petitions you should sign this week! 1. End the Cruel and Inhumane Trapping and Hunting of Bobcats in Colorado! 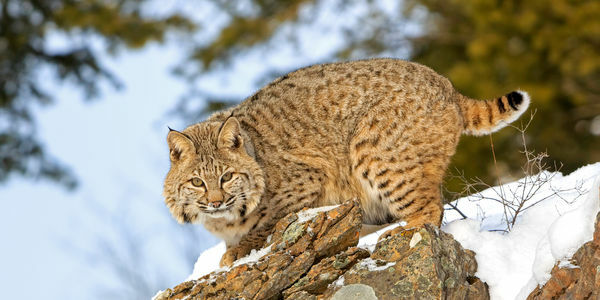 Source: Demand an End to the Cruel and Inhumane Trapping and Hunting of Bobcats in Colorado! Bobcats in Colorado are hunted for their fur, which is then sold to China and Russia for the fashion industry. By law, trappers can only use box traps to catch the bobcats. When they catch them, they strangle them with “choke poles,” drown them, or suffocate them by standing on their chests. They don’t want to kill them messily because they don’t want blood on the pelts and they don’t shoot them so there aren’t holes in the fur. It’s absolutely brutal and horrifying! This petition will go to the Colorado Parks and Wildlife commissioners to hopefully put an end to this cruel practice. Source: Natural Bridge Zoo, It’s Time to Send Lonely, Abused Asha To Sanctuary! Asha has spent the last 31 years at Natural Bridge Zoo completely alone. In the heat and humidity, she is forced to give rides to visitors, and when she isn’t doing that, she is in a tiny barren paddock all alone. She has no shade, pool, or toys. Asha just rocks back and forth out of boredom and depression. When the zoo is closed to visitors during the winter, she is left in a damp, cold barn with a concrete floor. In the wild, elephants live with their community and roam for miles. Sign this petition demanding that she be sent to a sanctuary where she can roam acres of natural habitat, play, forage, and be with other elephants. Fishermen in Miri, Malaysia were out on their boat when a 10-foot male saltwater crocodile got caught in their line. Instead of cutting it from the net and letting it go in the water, they dragged the reptile to shore with them where they got out to inspect it. The crocodile was just lying there and one of the men began to brutally beat the animal to death with a metal hammer. There is disturbing footage of the murder and the animal can be seen writhing in pain. Killing crocodiles is not illegal in Malaysia, but the way they killed the animal is against animal cruelty laws. Sign this petition asking Malaysian authorities to bring the men who did this to justice. 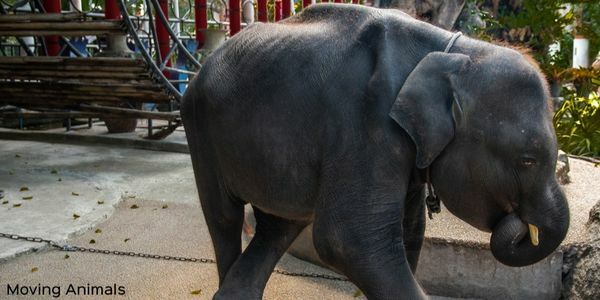 A baby elephant at Phuket Zoo in Thailand is forced to perform three times a day for visitors. She is forced to perform unnatural tricks like raving to music, playing instruments, and more. Her body also appears skeletal which shows signs of possible malnourishment. She’s even been seen sucking on her trunk for comfort while standing on display for tourists. This is a sign of distress seen in infant elephants when not with their mothers. Moving Animals has photos and videos that show her plight. Sign the petition to save this baby elephant, nicknamed Dumbo, from a life of exploitation in a place like this. People walking in a wooded area of Spokane Valley, Washington happened to see a plastic dog carrier stranded in the woods. Inside, they found a dead medium-sized dog whose body was shriveled and contorted in pain. Someone clearly abandoned the dog there to die of starvation. Not only was this horrifyingly cruel, but it’s illegal. Sign the petition asking the Spokane Valley PD to find and charge the person who did this. Source: Lonely Fuko has been trapped Alone for 10 Years. Please help her have a better life! 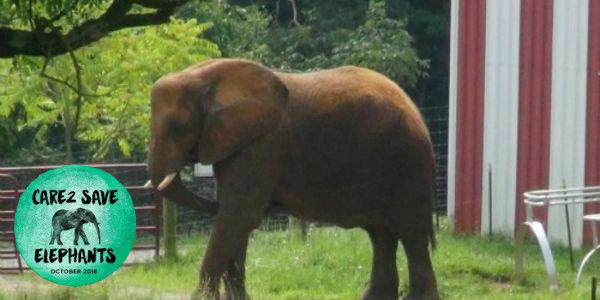 For 25 years, Fuko had a companion named Dumbo at the Nagano Chasuyama Zoo in Japan. Even though they were held captive in a small enclosure, they at least had each other. But Fuko has now been alone since 2008, and is visibly depressed. To cope with her boredom and loneliness, she repeats the same pacing patterns over and over in her small enclosure. Elephants are social, caring animals and it’s completely cruel and unnatural for them to be confined to such a small space alone all the time. 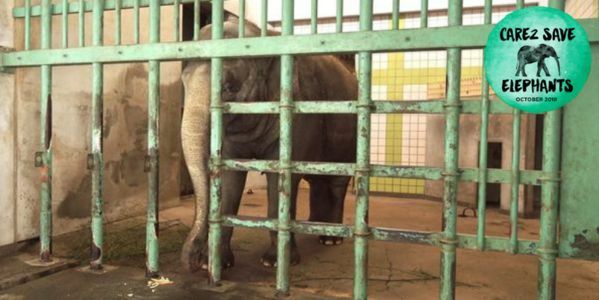 Please sign this petition to try to save Fuko so that she may be saved from this lonely life and hopefully sent to an elephant sanctuary! Pfizer’s hormone replacement drug, Premarin comes from the urine of pregnant mares. Therefore, Pfizer has pregnant mare farms where they repeatedly impregnate horses for an average of 12 years. The horses are forced to spend 6 months of their 11-month pregnancies in stalls so small they barely have space to turn around or lay down. During this entire time, they are attached to rubber urine collection bags between their hind legs. The bags chafe their legs, cause infections, and limit their movements. It is a terrible way to live. 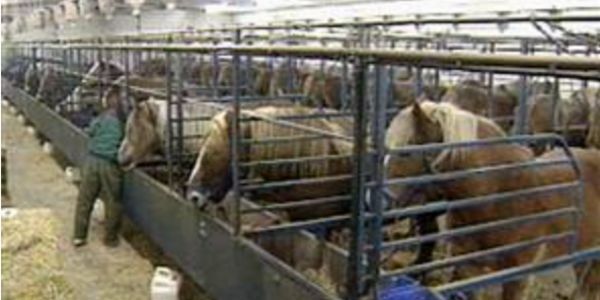 Please sign the petition to demand an end to Pfizer’s cruel exploitation of these horses! 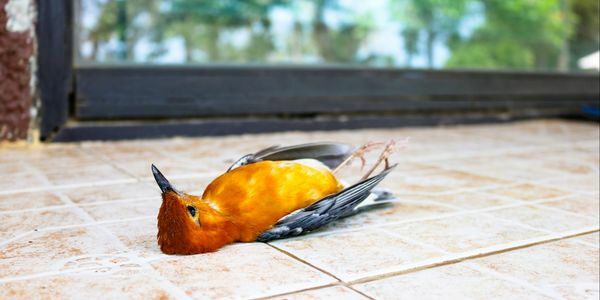 Although skyscrapers are a fascinating innovation for humans, they can dangerous to migratory birds. A disorienting light or gust of wind can send birds or a whole flock of them into glass buildings. During migratory seasons, they already deal with exhaustion and challenges and this only puts them more at risk. Birds are especially in danger in Chicago. In the 1-square mile downtown area alone, the Chicago Bird Collision Monitors collect 6,000 dead birds a year. Chicago has the most light pollution in the country and there is a voluntary “Lights Out” program which asks building operators to turn off their lights after 11pm during migration season. Spring migration period is just around the corner. Please sign this petition asking the city of Chicago to make the Lights Out program mandatory during migratory seasons. 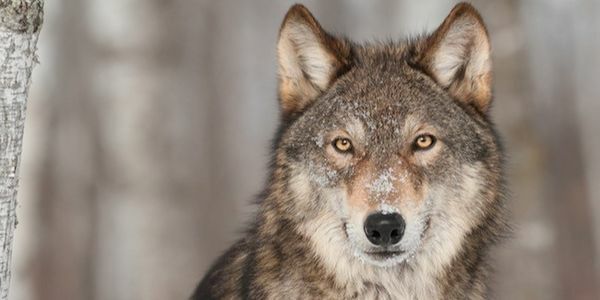 Until recently, gray wolves were protected in the United States because they were nearly wiped out as a result of hunters and landowners shooting them. Their population is now just over 5,000 which is still low even though they aren’t considered “endangered” anymore. Now the House of Representatives passed a bill removing their protection and allowing hunters and landowners to shoot them as they see them. This will critically endanger the species. Sign this petition urging the Senate not to make this bill a law! Although hippos are not endangered, they are vulnerable with less than 130,000 of them living in the wild. 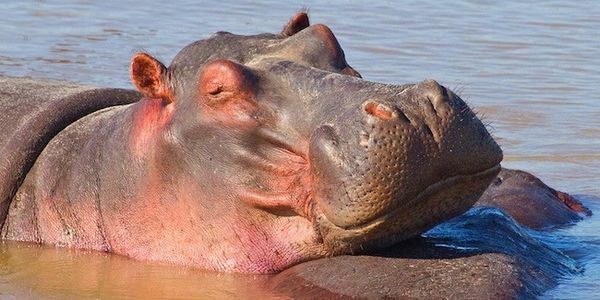 In May, the open hunting season on hippos begins and the government of Zambia claims that the Luangwa River is overpopulated and the hippos need to be culled by at least 2,000. However, the government refused to save the hippos by relocating them to sparser areas and they stand to make over three million dollars in trophy hunting fees by allowing their slaughter. Sign this petition demanding that Zambia cancel this horrible slaughter!